Tayeb Hyderally is an expert in employment law and has many years of successful litigation. He is adamant about helping keep workers safe from discriminatory practices. Ty Hyderally understands the many facets of employment law and works to educate personnel on how to keep the workplace safe by breaking down laws pertaining to discriminatory practices. As part of his work in the field of employment law, he also helps businesses and employers understand areas such as ADEA, Age Discrimination in Employment Act. The ADEA prohibits discriminatory actions against employees and applicants who are over 40 years of age. Employers cannot harass, fail to hire, layoff, terminate or fail to promote or in any other way discriminate against individuals who are over 40 years old based on their age. 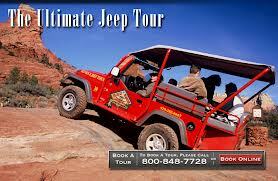 Gloria Rose was hired as a reservationist at Red Rock Western Jeep Tours located in Sedona, Arizona. Ms. Rose was hired and instructed to return her “new hire” packet which had different types of employment related forms such as direct deposit forms, and tax forms. When she brought the completed forms back the next day, she was met by a supervisor who asked her several more questions as well as for her age. Ms. Rose stated that she was 75 years of age. There was no communication from the company for several days after that conversation and when Ms. Rose sent an e-mail to the company asking when her start date would occur she received a response which stated that the supervisor and the general manager did not feel that Ms. Rose was the “right person” for the position. She promptly responded with an inquiry as to how they made this type of determination without seeing her work ethic. She also informed Red Rock that she felt she was being discriminated against based on her age. After supervisors at Red Rock received this email they hired Ms. Rose but then terminated her after only 2 days. According to the EEOC, Ms. Rose never received training during these 2 days but instead was sent on several jeep tours which took up several hours. Once Rose was terminated, the EEOC alleged that Red Rock filled Ms. Rose’s position with substantially younger individuals. The suit against Red Rock did not go to court but reached an out of court settlement. The company was ordered by consent decree to pay Ms. Rose $35,000 to settle the lawsuit. In addition, Red Rock was mandated to adopt an adequate anti-discrimination policy and to provide training regarding avoiding discrimination for all of its employees who are involved in the process of hiring. Red Rock Western Jeep was also instructed to refrain from engaging in any further age discrimination or forms of retaliation. According to the ADEA (Age Discrimination in Employment Act) employers are prohibited from discriminating against employees who are 40 years of age or older. Employers cannot harass, fail to hire or promote, layoff, terminate or discriminate in any other way against workers who are over 40 because of their age. 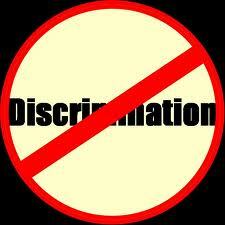 There is no workplace exempt when it comes to discrimination; and education about employment law is the best protection. This is why Tayeb Hyderally continues to provide educational resources and training at workplaces. His expert advice in the area of employment law is useful to both employee and employer. Proper training can prevent many different types of discrimination. Ty Hyderallys’ expertise in employment law can help workers, co-workers or employees identify the injustice when it occurs. His expert advice can ensure that workers know how to report instances and guard themselves from retaliatory actions. Mr. Hyderally arms businesses and individuals with the information needed to keep workplaces free from discrimination. In this case against Kmart Corporation, discriminatory practices should not have happened, but they should have been handled much differently when they did occur. The pharmacy manager repeatedly and purposefully scheduled her to work Sundays with the knowledge that she attended church on Sunday. This action was to try to encourage her to resign, according to the EEOC. When the pharmacist complained about the age-based discrimination to company managers including the general manager, district manager and the human resources manager nothing was done. Instead, Kmart threatened her with legal action based on an unrelated matter if she pursued the complaint of discrimination. Eventually she was forced to resign in an attempt to avoid the mistreatment. The EEOC filed a lawsuit in the U.S. District Court of Hawaii on the basis that Kmart did not pursue remedial action which eventually forced the pharmacist to quit. 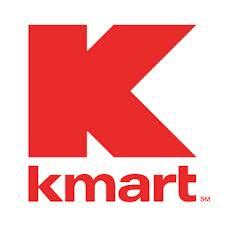 They also argued that the lack of action on Kmart’s part was in violation of the ADEA. (Age Discrimination in Employment Act) Rather than addressing her legitimate complaints about the age related discriminatory actions, Kmart threatened her for complaining. The suit was settled and Kmart agreed to pay the pharmacist $120,000. To cooperate with the EEOC the company also had to enter a 3-year consent decree. This stipulated that Kmart would post a notice about the case and hire an EEO trainer. The company also had to review and revise their anti-discrimination policies, provide ADEA training to all staff members yearly, and make certain that all performance evaluations completed by management staff would reflect any discriminatory misconduct. Discrimination is prohibited by Title VII of the Civil Rights Act of 1964. In instances where there are discriminatory actions or practices in the workplace, expert lawyer Tayeb Hyderally can offer his assistance or counsel. He has successfully litigated and practiced employment law for many years and has also made it his goal to inform employers and employees of the various aspects involved in keeping the workplace free from such discriminatory activities. Ty Hyderally shares his vast knowledge and years of experience in the field of employment law with individuals in order to reduce instances of discrimination in the workplace. The only way to substantiate a case is to present valid evidence and without it there just is not a case. In this employment law case there was more than just circumstantial evidence and more than simply pretext. A San Antonio federal court heard the case against Schwan’s and viewed evidence that the employer had falsified information. However, the trouble was that the employee, Swenson, did not provide enough evidence that actions pursued by Schwan’s were motivated by age discrimination. Many experts in the area of employment law felt that this false explanation on the part of the employer should have been enough to make a jury decide the factual issues. Schwan’s claim is that the termination of Mr. Swenson was due to violations pertaining to vacation policies. However, Swenson alleged that the policy did not hold to the true form of a “policy” and that the vacation pay he had requested was granted without dispute. Swenson also presented key evidence which indicated that the employer’s reasons for his termination had changed numerous times. This alone can be enough evidence to show that the explanations offered by the employer had been falsified. However, the court chose to disregard the evidence brought in by Swenson and felt that the employer believed the vacation policy had been violated by the employee. Again, this trial could have been one that was heard and determined by a jury due to the nature of the evidence. Mr. Swenson alleged that the employer had made many different age related comments about him. He was frequently referred to as “my disabled dad.” When eating at restaurants, the employer would ask for the “senior citizen’s menu” for Swenson who was only 48 years of age. The court threw these out and credited them as “stray remarks.” The remarks were not made at the time of termination nor were they made by the one who made the determination of termination close to the time Swenson was fired. Had they been made when he was terminated or very close to that time it would have changed this entire case. Mr. Swenson also provided some evidence that proved the employer was not following its own disciplinary policies and stated that younger workers had far better treatment than he did. This evidence was disregarded by the court stating that these facts by themselves did not require a denial of summary judgment. Expert lawyer, Tayeb Hyderally spends a large amount of his time educating both employees and employers about the various aspects of discrimination in the workplace and how it can be avoided. Both groups need to be well informed about their rights and responsibilities to ensure that all individuals are allowed the opportunity to work in a workplace which is free from discriminatory practices. And employees as well as employers are responsible to ensure that it does not occur and if it does that it is reported properly and taken care of quickly. No matter how educated we become regarding these very important employment law issues, sadly it occurs in many establishments today. In our thinking sometimes there are certain classes of people, such as doctors and lawyers, who are “above” discrimination. This is not the case as we will see in this case concerning a doctor who was the object of age discrimination in the workplace. Dr. Zane Hurkin of Clive, Iowa was hired at Woodward Resource Center which is a facility through which treatment and services for mentally disabled individuals are provided. Dr. Hurkin was only on the job for 8 days before he was unjustly fired. Jill Zwagerman, his attorney, stated that he had been asked questions that were age-related during the interviewing process and upon being hired he was inadequately trained. His pay was also several thousand dollars less than the pay grade that had been posted. Dr. Hurkin alleged that he was subjected to discriminatory treatment as well as harassment regarding his age and was denied job responsibilities. He stated that he did not receive training for some aspects of his job. He also alleged that his hours and pay had been reduced and he was not paid on an equal level with his peers and then he was terminated. Dr. Hurkin stated that he had been asked some age related questions when he was interviewed for the job and after he was hired he was harassed and discriminated against because he was 81 years old. The company first cut his pay and then his hours before they fired him after only 8 days on the job. He had been a practicing physician for about 55 years and following the termination, Dr. Hurkin suffered from depression and required medical treatment. According to the official court documents, the pay scale normally allotted to the position Dr. Hurkin was hired for paid somewhere between $162,843 and $231,608 annually. However, the doctor was only being paid $105,000 per year. The lawsuit alleged that he had indeed been subject to discriminatory practices. The courts agreed and he was awarded $140,000 in lost wages. He also received another $200,000 for emotional distress, both past and future. According to the Iowa Attorney General’s office a representative of Woodward Resources Center stated that they did not know if the facility would pursue an appeal of the jury’s decision or not. Their spokesman, Geoff Greenwood said that they would review their options. Attorney Tayeb Hyderally spends much time educating many establishments on matters concerning employment law. He shares his expertise in hopes that knowledge of the laws will reduce the occurrences of discriminatory practices in the workplace. The knowledge of employment law is essential for both employee and employer. Cases of sexual harassment are commonly committed by one in a supervisory position, but not always. Therefore it is important for all workers to remain adequately informed about preventing sexual harassment in the workplace. 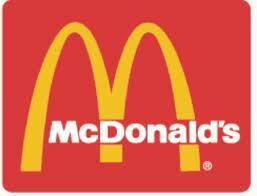 Missoula Mac, Inc. owned 25 McDonald’s franchises in south-central Wisconsin. Recently they were involved in a sexual harassment suit in which female employees who worked at the franchise in Reedsburg, Wisconsin alleged that they had suffered sexual harassment as well as retaliation in the workplace. The female workers complained that co-workers who were male had made many sexual comments along with unwanted and unsolicited physical contact. They also stated that they were forced to kiss and touch the male workers in inappropriate ways. The female workers reported their co-workers harassment but nothing was done to address it or stop it. Complaints continued and then the female workers were terminated. The company’s statement about the case filed with the EEOC did not deny that the inappropriate conduct occurred and actually Missoula Mac officials said that they agree that “improper workplace conduct” did occur but were unsure of the extent. They stated that the company’s employees are encouraged to report any form of sexual harassment. Rather than continue litigation indefinitely, Missoula Mac chose to settle the case. They figured that the time and finances which a case would consume would be more costly than making a settlement offer. The former owner agreed to pay $1,000,000 to almost a dozen former employees in order to settle the federal sexual harassment suit. The settlement that the EEOC and the Poynette-based Missoula Mac, Inc. reached included requirements for the corporation to create a position that is specifically created just to handle complaints involving sexual harassment. They also had to create a sexual harassment hotline that would remain available for employees and also train both workers and managers concerning employment rights and the proper way to handle situations should harassment occur. The company, who stated that they sold the Reedsburg facility last year, had to also create a new position which will be responsible for monitoring, resolving and soliciting complaints about the working environment in their restaurants. The person who holds the position has visit each of the company’s restaurant at least two times per year in order to be available to employees who are encouraged to voice any concerns. Managers are now required to attend a minimum of two hours training on harassment, employment rights, retaliation and how to handle these types of complaints appropriately and efficiently. Hourly employees must also receive training on their rights and responsibilities as well as the proper procedures to report harassment, retaliation or discrimination. The company also created a video which employees must watch before the training sessions. The video contains a message from company President John Orr stressing the importance of zero tolerance toward sexual harassment in the workplace.